This month, Digital Democracy is traveling to Southeast Asia to launch our programming in Thailand: Handheld Human Rights and Project Einstein. Both Handheld Human Rights and Project Einstein empower Burmese community groups and refugees and connect them with the international community. 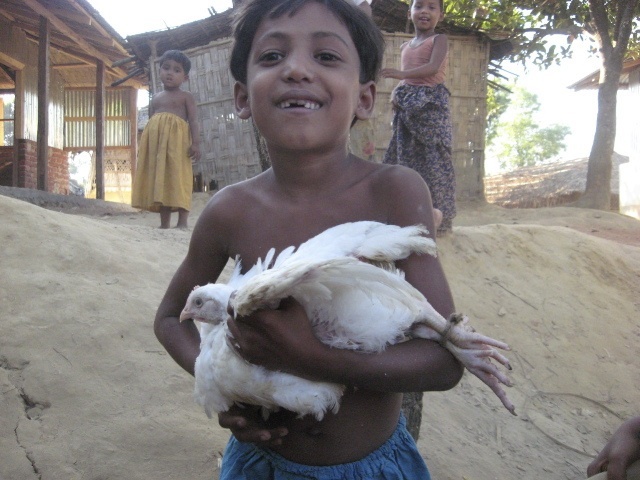 Project Einstein, our digital pen pal program, was born from a photo training we conducted in Bangladesh in January 2008 thanks to support from What Kids Can Do. Partnering with MITʼs Center for Future Civic Media and high schools in Indianapolis, Indiana, we are now creating a platform and curriculum for resettled refugees and their peers in the U.S. to connect with refugees overseas. This trip, we will be launching Project Einstein with a partner school in a refugee camp in Thailand. Through the expressive power of photography, Project Einstein provides an identity and face to the countless Burmese refugee living around Burma’s borders and throughout the globe. During our time in S.E. Asia we amassed volumes of photographs taken by refugee youth. These powerful images were organized and transformed into Project Einstein Bangladesh, an 80-page book of their photographs. Now published, Project Einstein Bangladesh is available for purchase by the public. But the book is not only intended for the outside observers. We would also like to share the book with the original photographers, for whom the book represents their first family and self-portraits. To solicit your support, we are offering a special deal: purchase one Project Einstein Bangladesh for yourself and gift an additional copy for the refugee youth at a specially reduced rate. With your support, we can take these beautiful books to the young photographers who made Project Einstein possible. We have extended the deadline for purchase to August 15. We are asking supporters to take advantage of this special deal, and purchase a book for yourself and a book for one of the young photographers, at a reduced rate of $55 (includes all shipping costs). Email info@digital-democracy.org to place an order. If you can’t place an order by August 15, order your own copy of the book online at any time.